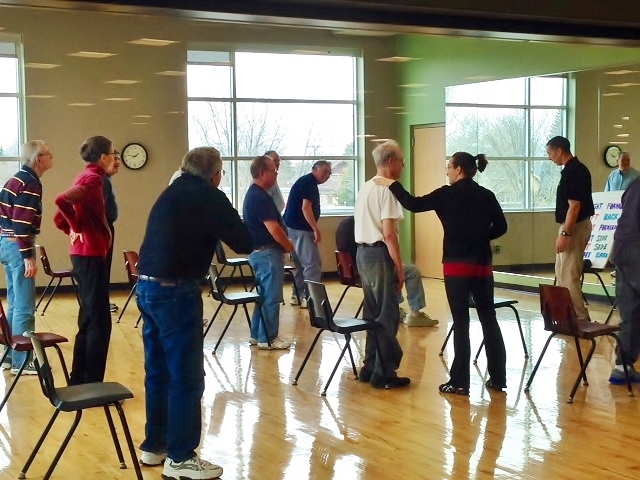 Our Parkinson’s Exercise Class is offered through a partnership with Agnesian HealthCare. 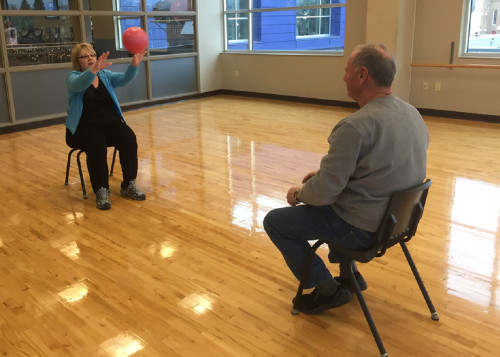 Research shows that exercise BENEFITS people with Parkinson's Disease. The benefits of exercise can help protect certain areas of the brain involved in the disease process. WHAT SORT OF EXERCISE DO WE DO? In this class we work on aerobic conditioning on treadmills, bikes, or the Nu-step, depending on your ability. Weight machines are used for upper and lower body strengthening. Classroom exercises emphasize range of motion, balance, posture, and body education. WHO CAN ATTEND THIS CLASS? HOW DO I JOIN? This class is specifically designed for people with Parkinson's Disease who are still walking with or without the use of a walker or cane. The goal is to maintain and increase your function. This class was designed by a physical therapist from Agnesian HealthCare, and the elements in the class are based on current research in the Parkinson’s field. Class participants are asked to have a physician’s note informing program instructors that the member is able to attend an exercise class. This can be provided on the participant’s first day of class. Classes currently meet on Tuesdays and Thursdays from 10:30-11:00 am and 11:30-12:00 pm. Participants pay monthly.